Second to last episode and I am so excited because we get a sense of where the story will end up. We left Walt in transit to his new life and most of our characters up in the air. As always, we get answers, but oh so many more questions. Without further ado here is a full re cap of Granite State! Let’s start with the New Identity Man (NIM for short). 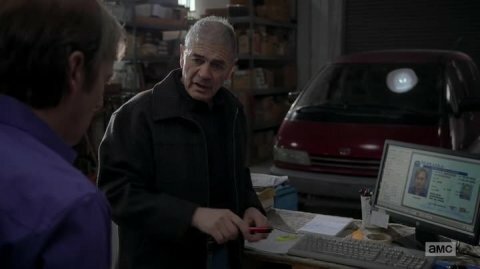 He is Saul’s guy to get certain client out of town without a trace. He is expensive and discreet. Last episode, Walt was whisked away in a beat up old mini-van, so that he could get a new identity and evade police custody. We see that the mini-van pulls into an actual vacuum repair shop and that it is Saul in the van and not Mr. White. Saul is running for the hills too and it looks like he will be in Nebraska living the life of your average Nebraskan. No more seeing his face on buses and benches. He is told it will take a couple days to place him and he will be sharing a room with Walt while the particulars are taken care of. A couple days pass… Walt is on the war path and has this plan to kill Uncle Jack and his crew of neo-nazi goons. Walt hands Saul a page of his elaborate plan and asks him to call some mercenaries to pull this job. 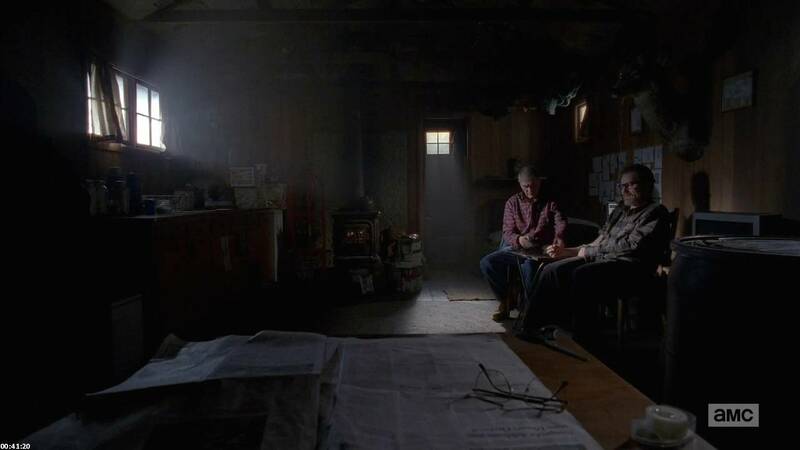 Saul is looking at Walt as if he were crazy and tells him that if he cares about this so much he shouldn’t leave town. He shouldn’t leave his family high and dry. 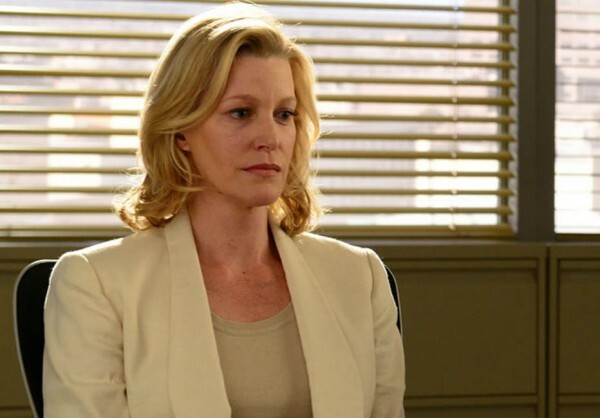 Walt says that the cops think Skylar is an innocent bystander, but Saul is not convinced. Walt’s big plan consists of killing Jack and co., taking back his money and giving it to his children. 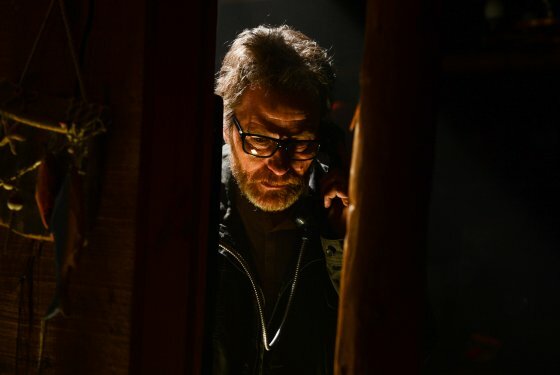 NIM comes into the underground room and tells Saul that he is ready for him, but Walt speaks up and says he is taking Saul with him because he needs him. NIM gives the two a moment to talk and Saul basically tells Walt that he is no longer in the picture. Walt is upset and as he makes his last demands he is caught up in a coughing fit. Saul waits for the fit to pass and then leaves with NIM to manage a Cinna-bon in Omaha (hopefully). The goons have ransacked Hank and Marie’s home to find the tape that Jesse made and any other evidence Hank had. The goons and Uncle Jack sit and watch Jesse spill all the juicy secrets from the past 5 seasons. Uncle Jack is especially pissed when Jesse tells the camera about Todd’s involvement in the murder of a child. Uncle Jack wants to kill Jesse for being a rat and he thinks that Walt’s money is enough motivation to stop cooking meth. Todd insists that they continue to cook until the last of the methlamine has been used. Uncle Jack puts two and two together and confronts Todd’s crush on Lydia. Uncle Jack thinks it is cute and says they can keep Jesse to finish the methlamine. Skylar is in a daze trying to deal with the blow out. She has a team of lawyers threatening to punish her and her children if Walt is not found. She tells them she understands the gravity of the situation, but she honestly cannot tell them where Walt is. Later that night Skylar is home in the living room, smoking a cigarette, when Holly begins to fuss. She walks to the nursery and finds Todd and a few goons in ski masks. Todd explains that Skylar has seen one of Walt’s associates (Lydia) and he wants her face to be forgotten. Skylar understands the threat hidden behind Todd’s calm cadence and says she won’t mention anything about Lydia to anyone. Todd thankfully believes her and leaves peacefully. The next day Todd meets Lydia at a coffee shop to discuss the Skylar situation. Lydia is hinting hard that she doesn’t like the risks of Skylar having seen her face. Todd tries to convince her that Skylar will not do anything to endanger her kids and basically that he will not kill her. Lydia is not pleased (because we all know that her solution to every threat is to kill the person with the info) so she decides she needs a break from purchasing meth. Todd tells her that he has a 50lb bag ready to go. She is not interested, that is, until he tells her it is 92% and blue. She asks how that is possible and he tells her they have Jesse. She is immediately nervous since the cops are looking for him, but Todd reassures her that Jesse will not escape. He is still in the pit, but they allowed him to keep the picture of Andrea and Brock as a reminder of the danger they are in. This includes the paperclip they used to clip the picture in the lab. Jesse straightens out the clip and manages to unlock his cuffs. He is about to try and escape when he hears footsteps. He re-cuffs himself and Todd appears with two flavors of Ben and Jerry’s ice cream. He says that Jesse’s last batch was 96% and that he deserved a treat for it. Todd is being really nice as usual and Jesse asks him to leave the tarp off the cage at the top of the pit so he can see the sky. Todd agrees as an act of goodwill. Once Todd is gone Jesse piles his bedding & toilet bucket and jumps to grab the cage. Amazingly he makes it on his first try and is dangling by his fingers. It is an exciting scene because he is able to hold himself up, undo the latch, lift himself out of the pit and then run across the compound. Too bad there were cameras… The goons catch up with Jesse before he can hop the fence. Jesse turns to face a line of goons and screams that they may as well kill him because he will not be cooking anymore. Instead, they all go for a ride. It is an abrupt transition between the compound and arriving at Andrea’s house. Todd knocks on Andrea’s door and he explains that he is a friend of Jesse’s and that he has brought Jesse in the van parked across the street. Andrea trusts him immediately and walks onto her porch. Todd silently pulls a gun and points it to the back of her head, “This is nothing personal…” and shoots her before she even realizes that Todd is not the friend to Jesse that he says he is. Jesse is indeed in the van and has watched yet another girlfriend of his die. The goon next to him tells him to calm down, there is still the kid. So sad. Let’s change the subject, Walt is on the move. 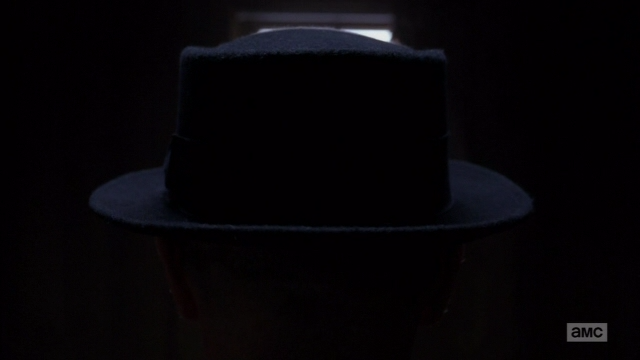 Walt is still seething with anger and while unpacking he reveals the Heisenberg hat. He places the hat on his head and walks to the gate of his new property. He stands there and ultimately decides the risk is too great to leave. A month passes and we see Walt at the gate again, but this time it is to accept his first supply run. NIM has brought a month’s worth of newspapers, new glasses, ensure, food, and possibly another copy of the wonder Emporium. and a round of chemo which NIM sticks into Walt’s arm himself. Once the supplies are delivered NIM turns to go, but Walt begs him to stay for a while. It is the most pathetic i have ever seen Walt, he even offers NIM $10,000 for one hour of companionship. NIM stays for the money and decides to play cards with Walt. Walt is more interested in talking though. He says that one day NIM will come and Walt will be dead. At that point will he give Walt’s money to his family? Or will he keep it? NIM asks Walt what he thinks and it is clear that NIM will be keeping the money. Walt freaks when he hears this and he can’t sleep. His wedding ring is falling off his boney fingers and it is a physical sign that he is dying. He hastily decides to stuff $100k into a box and wraps it up to be sent. He walks to the local watering hole and pays a woman to call his son’s school pretending to be Marie. Jr is caught off guard when his father is actually the one on the other end. Walt frantically tells him that he is sending his friend a package, but it is actually for Jr. It has approximately $100k inside and he wants Skylar and the kids to have it. Jr. is not as grateful as Walt may have hoped. In fact he starts screaming that Walt killed Hank and eve asks his father why he hasn’t died yet. Way harsh, but considering the amount of lies he has endured I can’t say I blame him. Walt is shaken by this refusal of his money. In his mind, if the money doesn’t go to his family then he has done all of this for nothing. He has become Heisenberg for nothing. Walt calmly calls DEA headquarters and tells the operator that he is Walter White and then walks away from the phone leaving it dangling and thus traceable. Walt sits at the bar with the package and he sees two familiar faces on the television. His former business partners from Greymatter. They have started a scholarship or grant to fix their image after having been tied to Walt in his new Kingpin persona. They insist the charity is not a ploy to separate them from Walt’s bad image, but they do say that Walt had nothing to do with their business. Well, other than helping to name it. This makes Walt seethe because we know that he was a major contributor to the company’s initial success and that those partners basically cheated him. They go on to say that Walter White is no longer out there. That the kind, smart, nice man they knew is no longer around….i suppose they’re implying that Heisenberg is all that Walt is now. And when you see the look on Walt’s face you tend to believe that Walter White has left the building because the cold stare is most definitely Heisenberg. Some local authorities show up at the bar, but Walt is no longer there. He has vanished. Dun dun duuuuunn…. I agree! I will be glued to my tv next week. Once again a great job Natalia, This time i watched the episode before i read your blog. The graymatter partners have triggered Heisenberg in Walt. I dont know M60 and Ricin is for who. There are too many loose ends in the story. Hope Vince will fix it but how come in 75 mins. BB followers of our area have organized a giant screen show of last episode on Monday. C U Nxt week.